Who among us hasn’t wondered who would win in a fight between a bear and an alligator? Or a ram and a tiger? A badger and a gopher? While these animals are all university mascots represented in the NCAA March Madness tournament, they’re also competitors in an imaginary Pokemon battle-style spinoff tournament playing out right now on Twitter. And the “fights” are absurdly scientific. March Mammal Madness, now in its fifth year, is the brainchild of biological anthropologist Katie Hinde. Inspired, in part, by a Buzzfeed bracket that used cute animals instead of college teams, MMM is built just like the NCAA tournament, but with different species pitted against each other in fictional fights—live-tweeted, Dungeons and Dragons-style—with actual scientific research to back up the creatures’ strengths and stats. When Hinde posted her first bracket on her blog back in 2013 and decided to narrate the simulated encounters on Twitter, it was an instant hit with biology nerds. So, she decided to make it an annual thing. According to Hinde, this year, there have already been more 30,000 tweets sent with the #2017MMM hashtag from more than 3,350 individual Twitter accounts. For the uninitiated, March Madness is when 68 college basketball teams compete in a single elimination tournament for the NCAA Division 1 national title. Madness is an apt descriptor. The first two rounds involve 48 games over four days, with at least two games going on at any one time. Fans go all out trying to predict the winner, filling out bracket after bracket, devising system after system for making their picks, and packing into sports bars to cheer their teams on. March Madness isn’t limited to basketball fans though: Parody tournaments crop up all the time, involving everything from celebrity fashion to barbecue. The #2017MMM bracket via @2017MMMletsgo. To help develop the bracket, research the animals, and tweet the battles for March Mammal Madness, Hinde brought on evolutionary ecologist Chris Anderson, marine biologist Josh Drew, and biological anthropologist Kristi Lewton. Unlike the NCAA tournament, these brackets aren’t just derived from the team stats for the season. The scientists come up with four new categories each year—things like social animals, or critically endangered ones—and then meticulously research each animal, roughly quantifying its temperament, weaponry, body mass, running speed, and fight style. After assigning rankings for each division, they determine the probability of one animal defeating the other for each match-up, and perform a virtual “die roll,” with a pair of 100-sided dice weighted accordingly. “True to our Dungeons and Dragons roots,” says Drew. This element of randomness means that even if, say, an elephant was favored to win 80-20 in a match against a hippo, the hippo could still score an upset with a lucky roll. As a result, you get Cinderella species that go farther than anyone would have predicted, just like in the real tournament. Illustration by Charon Henning, MMM art director since 2015. Battles, which are narrated on Twitter by guest scientists, are more than just play-by-plays though. They’re often mini-classes on each of the animals involved—think scientific papers mixed with GIFs and trash talk. Narrators will use their tweets to highlight fascinating or strange bits of research, like the fact that white–headed capuchins rub millipedes all over their bodies while simultaneously sucking on them. Apparently, it’s a bizarre but effective mosquito repellant. Battles can also be used to raise awareness of issues that affect animals, like climate change and conservation. In 2014, Drew narrated a battle between the polar bear and the oceanic whitetip shark. While the polar bear had the home advantage, Drew used the fact that polar ice caps are receding to illustrate how polar bears are forced to swim farther and farther into open water to catch a meal. So much so, that some bears get fatigued to the point that they become prey to other large predators. This year, guest narrator and biologist Dr. Danielle Lee tweeted a battle involving her own research subject: the African giant pouched-rat, native to Tanzania. Lee narrated the second round match-up between her pouched-rat and the maned wolf in the cerrado (tropical savannah) of central Brazil. With no tree or burrow to hide in, the pouched-rat was easily tracked by the wolf, which it couldn’t outrun. At least that’s what Lee tweeted, but that’s not what actually happened. Before concluding the battle, Lee revealed that the pouched-rat hadn’t actually shown up for the fight because Tanzania recently banned the export of live animals. A similar win-via-forfeit happened in 2014, in a battle between the fossa (a cat-sized carnivore from Madagascar) and the pangolin. The pangolin lost on account of being snatched by a poacher mid-battle, highlighting a very real threat. Pangolins are a globally threatened species because their scales are used in traditional Chinese medicine. Twitter users aren’t the only ones learning about animals by following along. Since the beginning, researchers and teachers have been using the bracket in the classroom. Earlier this year, Hinde announced that educators could get an advance copy of the bracket in order to better integrate it into their curricula. She expected to get 20 or so requests, but in just a few days she had 250, a third of whom had already been using it in their classrooms for several years. It seems America’s teachers are discovering something Nintendo figured out decades ago: there’s no better way to hold a kid’s attention than with an epic fantasy battle between weird creatures. March Mammal Madness 2017 has already seen some dramatic upsets, like the 13th seed screaming hairy armadillo defeating the 4th seed hairy-nosed wombat, which is 30 times more massive. 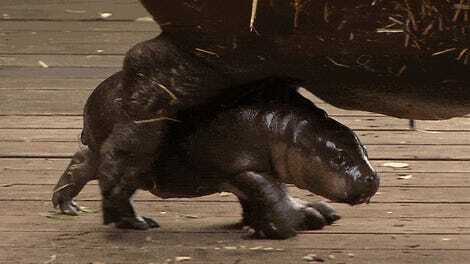 When the armadillo encountered the terrifyingly large wombat, it did what any sane being might do: scream. In this case however, its scream was actually a weapon, since wombats have acute hearing and would rather flee than subject themselves to such audial assault. Last night, the tournament headed into the Elite Trait (a twist on the NCAA’s Elite Eight), where the spectacled bear sucker punched the cloud leopard and the short-faced bear made quick work of the Neanderthal hunting party. 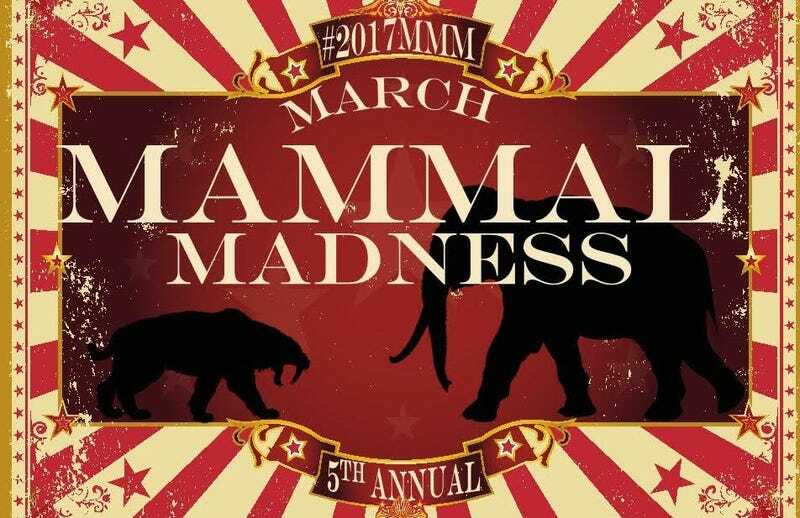 You can follow along on Twitter with the hashtag #2017MMM, or for just the official narrated tweets, follow @2017MMMletsgo. If you want try your luck in the final rounds next week, you can find the bracket and the previous results here. Summer Ash is a science writer based in New York. She is the director of outreach for Columbia University’s Department of Astronomy.